Since Christmas, I have literally only worn two other nail polish. These two you will see today. I've either had nekked nails or was nasty girl and had chipped polish for over a week. That's why I haven't had any to show you until now. Now I told you these are the only two brands that I am buying from right now. 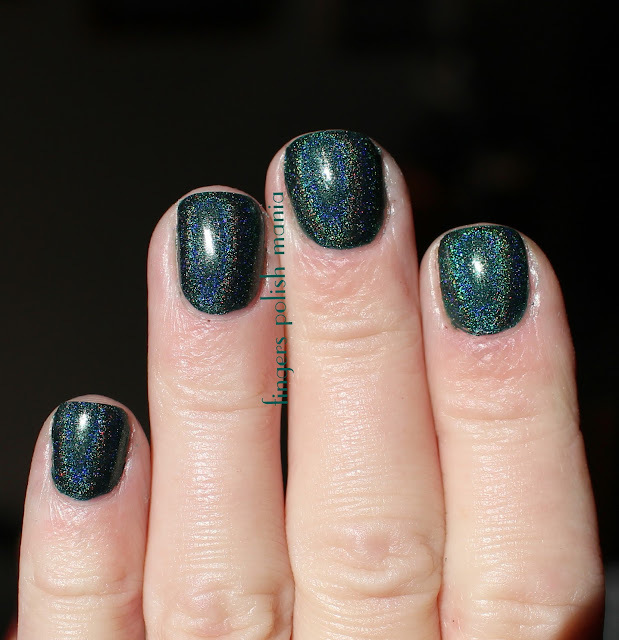 I have totally stopped buying all other polish. I have however, been buying makeup instead. Have you seen the Sigma brush dryer system thingy? Totally unnecessary, but oh so very cool. I have one, haven't tried it yet. That's for tomorrow. I'll report back to you. What it does, is hold your brushes safely upside down so water doesn't get into the handle (I"m guilty of not being careful about that) and has elastic bands that will reshape your brush heads as they dry. I have used it for one brush thus far-I will be doing a major brush washing session this weekend and will take a picture to show you what it looks like full. Last weekend, I washed my foundation brush and used this Sigma thing to dry it and it worked really great. The only issue I had was getting a huge brush head into a small elastic band. I was scared I was going to rip the elastic out of the holder. It held up to my stretching which is a good thing. I'll let you know once I've given it the full on test. My eyes are still allergic to something. I wake up and the whites of my eyes are just burning and red and ugly. It's no fun trying to put makeup on when your eyes are like that. I am hoping this last product deletion will pin point the issue. I realized last night that the one thing I haven't stopped was my makeup remover. I had tried the Target brand and thought that was giving me problems, so I got the way more expensive Clinique brand. So far I have changed lash glue, I have stopped wearing lashes all together, I stopped the Target brand remover and I wash my makeup brushes as well as use higher end makeup. I put away my lash grower Latisse too. Still have the problem with my eyes. The one thing I hadn't paid attention to? The Clinique remover. Duh. Last night I read the ingredients on both the Target and the Clinique. Guess what???? The main ingredient is the same. So I'm wondering if I'm allergic to that one ingredient. When I went online it's a silicone derivative used in a ton of products. All I know is I did not use any remover last night, just my Ole Henricksen face wash and this morning, my eyes are a little red, but much better. That stupid lady at Ulta said oh no way my Clinique will make your eyes red. I believed her and never thought to go without just to see what happened. I'm not convinced yet as I need to go a few days wearing makeup and not using the remover to see, but fingers crossed! I want to wear my lashes!!!!! 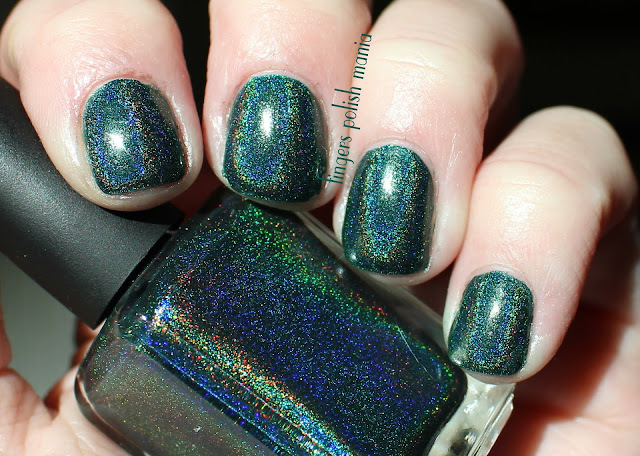 All right, here are two incredibly beautiful holos. You will see why I am so enamored of these two brands. 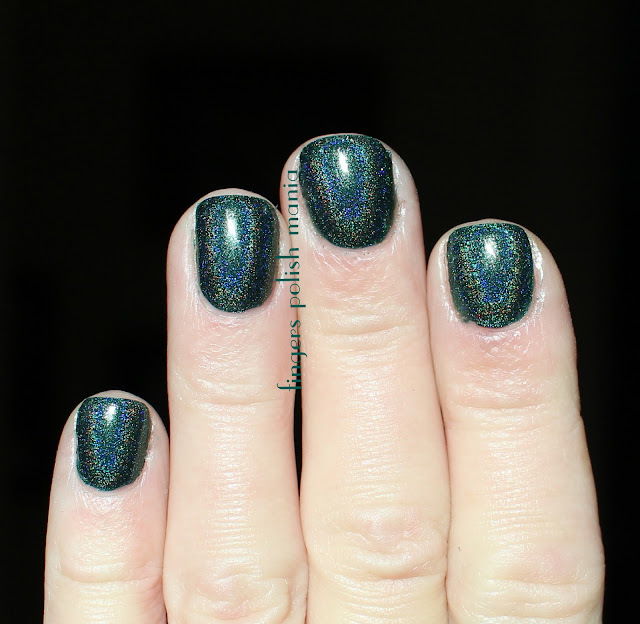 First up, Enchanted Polish December 2015. 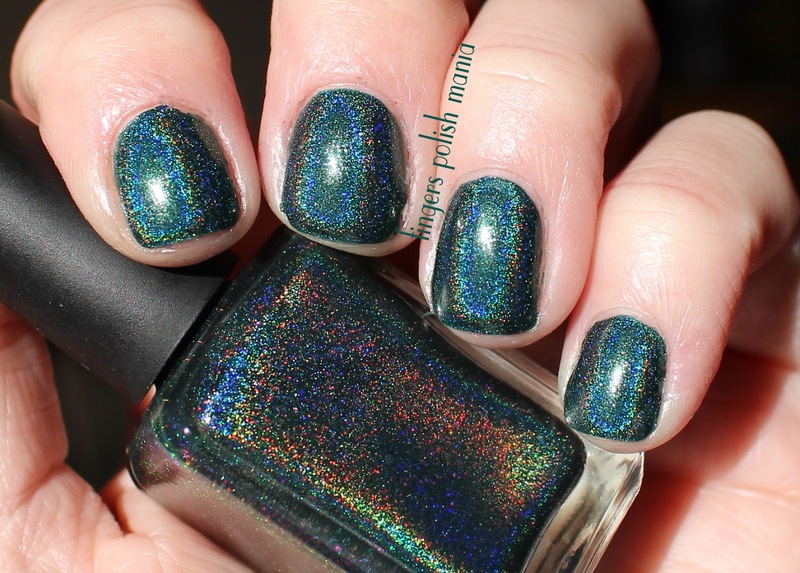 This stunner is a blue green holo that is right up my color alley. How awesome is this???? I just love this one big time. 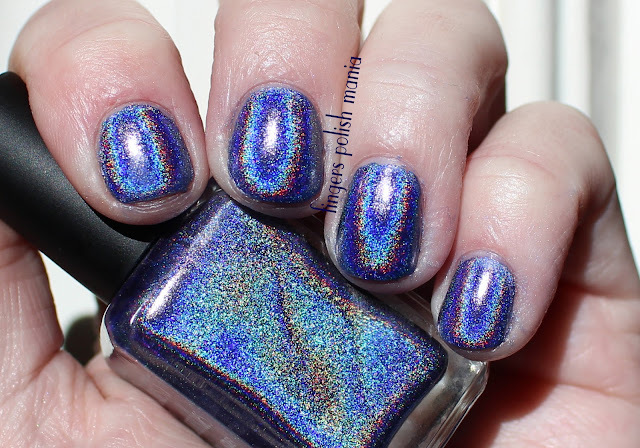 Next up is from the recent Narwhal collection by Chaos and Crocodiles. No idea what a Narwhal is, but wait til you see this super holo. Sorry, didn't realize this post would be so picture heavy-should have split it into two! 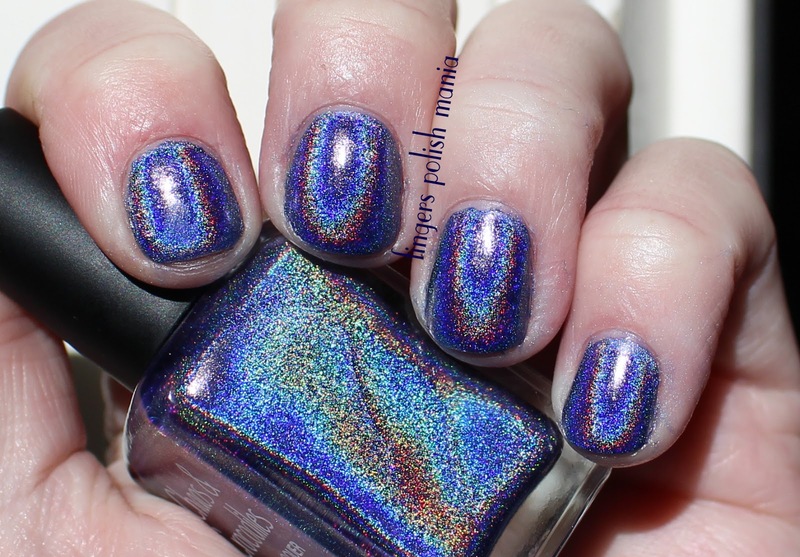 But how gorgeous is this holo? 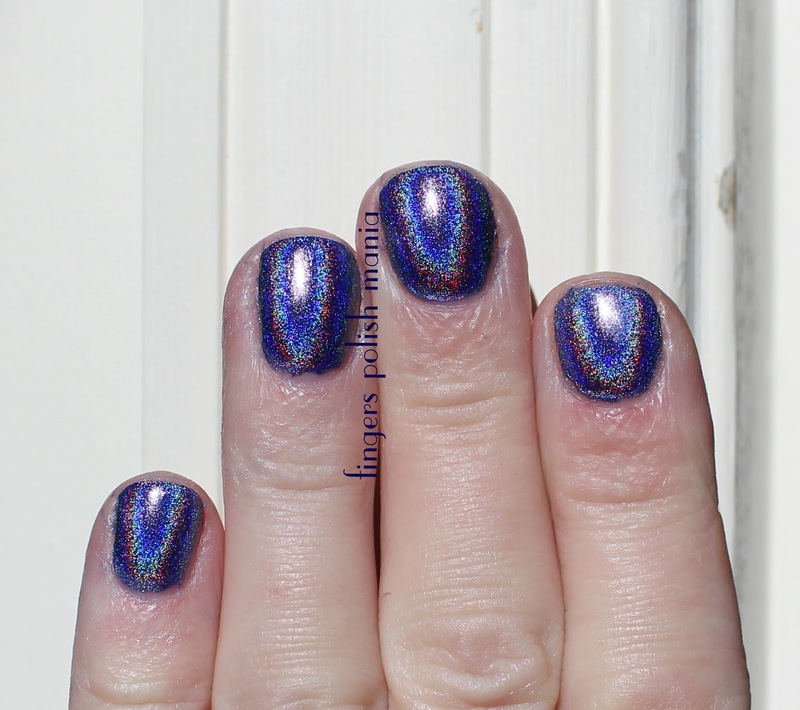 Chaos is known for her super strong holos-it's why I buy what she makes!